♧ Safe: The bamboo stick is polished and both ends are smooth rounded, not need to worry abvout hurting your hands when you hold it. ♧ Call Your Memories: Some props like"still friends? ""Cheer for Youth" will bring you a lot theme on the reunion party. ♧ Money Back Guarantee: Your Satisfaction is our ultimate pursuit. Should you came across some quality probelms about our photography props. Please contact our support team. We guarantee your money back. 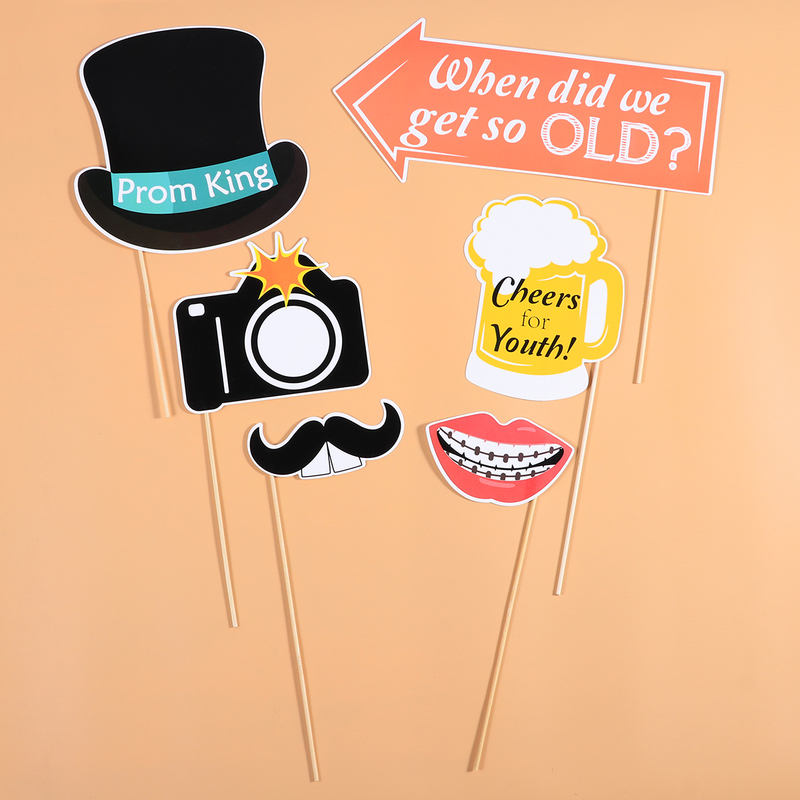 The school class photo booth props are made of high-quality cardstock and printed by high-tech digital machine, showing vibrant colors and unique shapes. It's the perfect complement to any class reunion and high school reunion décor and class party supplies. 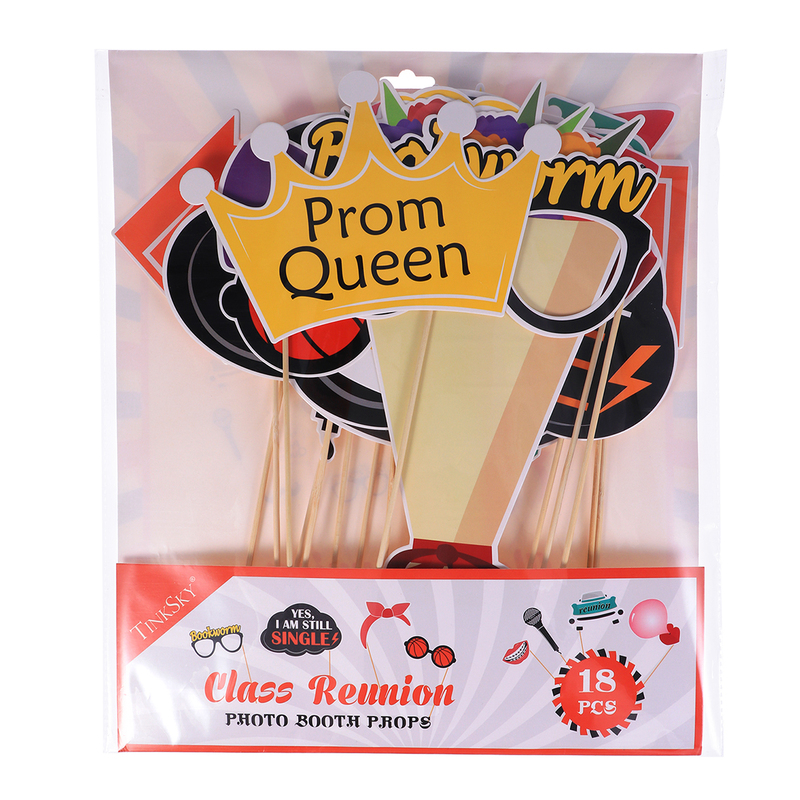 Catch up, share life updates, and make new memories during our reunion party and our Class Reunion Party Photo Booth Props sees your friendship as time goes by. - Material: Paper + Bamboo. - Package Size: Approx. 14.37" x 12.60" x 0.79"
- Multi-design: The set includes 18 different styles photo props so that you can choose any one according to your need. 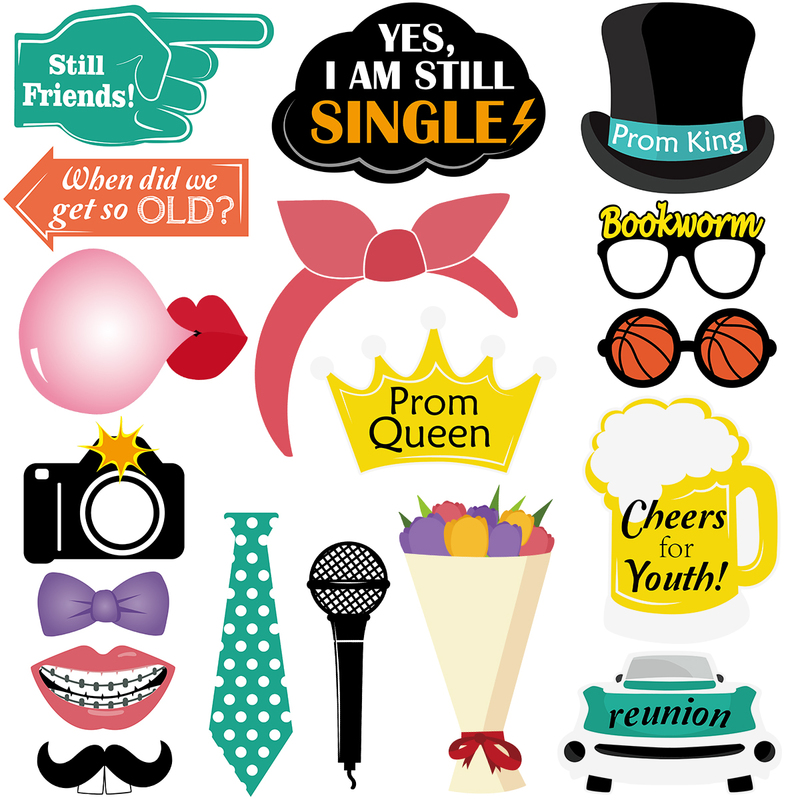 - Photo Booth Props Kit: Beautiful, fun photo booth designs that will make any Party Come to Life! - Funny Party Camera Props: Printed on Quality Card stock, then these will last you through the party and are not the flimsy lightweight props. - Convenient To Use: You don't need to DIY by yourself, just hold it in front of your face or anywhere you like to put, easy to use. - Wide Application: Great for your class reunion themed party, self-portraits, photographic photograph, family reunions or anywhere you like, suitable for all people.